“By granting relaxation of 5% marks in TET for reserved categories only, the eligibility criterion is neither altered nor is any prejudice caused to the appellants,” it said. A division bench comprising Justice Siva Kirti Singh and Justice R Banumati was considering a batch of appeals on conflicting judgments from Principal and Madurai Bench of Madras High Court concerning appointment of secondary grade teachers and B.T. assistants in Tamil Nadu as per the guidelines prescribed by the National Council for Teacher Education (hereinafter referred to as the NCTE). The dispute revolves around the relaxation of 5% marks to reserved category candidates in the State Teachers Eligibility Test (TET) approved by the state government, which is allegedly in contravention of the norms to that effect embodied in the notification dated 23.08.2010 issued by the NCTE. The principal bench of High Court dismissed the writ appeals and writ petitions holding that the challenge to the policy decision of the government can sustain only if it suffers from arbitrariness and unreasonableness which did not surface in these cases. It was held that writ petitioners/writ appellants are non-suited to challenge the procedure adopted in granting weightage to marks obtained in the basic qualification required. The Madurai bench quashed the relaxation given to the reserved category candidates and observed that the argument that relaxation was necessary to advance social justice is nothing but a myth and is devoid of any factual data and analysis. 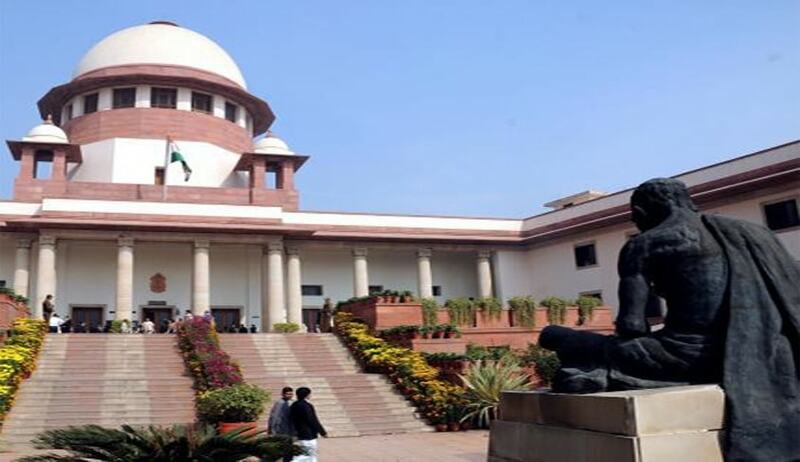 The bench observed that the preferential treatment or concessions granted to SC/ST, backward classes, physically handicapped and denotified communities is within the concept of equality. The bench held that such a provision is in line with the principles enshrined in the Constitution and state government cannot be faulted for discharging its constitutional obligation of upliftment of socially and economically backward communities by providing 5% relaxation to candidates belonging to scheduled caste, scheduled tribes, backward classes, most backward classes, de-notified communities and persons with disability (PWD). The bench also rejected the contention that the government has changed the rules of selection. The bench finally held that Madras High Court principal bench rightly rejected the challenge to G.O.(Ms.) No.25 dated 06.02.2014 and G.O.(Ms.) No. 71 dated 30.05.2014, holding that as per the NCTE guidelines, the state government has the power to grant relaxation on marks obtained in TET to candidates belonging to reserved category and the same is affirmed.